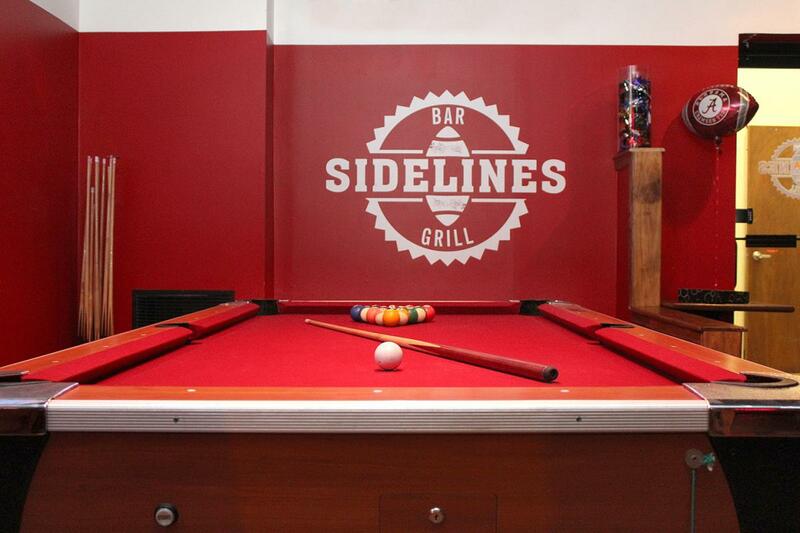 Sidelines Bar & Grill will easily become your favorite sports bar. Located in Fairfield, NJ, locals and tourists equally love the food and beer selection Sidelines has to offer. At Sidelines Bar & Grill we take pride in knowing our regulars, and greeting new-comers as old friends. We are a sports bar that is inviting, and welcomes everyone to eat and drink with us as friends. All of our food is made using the freshest ingredients, and we maintain a clean and modern environment. We’ve been told our burgers and wings are unlike any other, and we have to say we agree. We have 10 drafts that we are always changing out, so you can try a new beer every time you come in. A lot of our offerings are New Jersey brews, because we like to keep things fresh and local. Don’t see what you’re looking for? Let us know and we will help you pick out something new you’re sure to love. Come hang out with us at Sidelines Bar & Grill today! Welcome to your new favorite sports bar.